Nick: When I hear there's some random girl passed out in the back room of my family's South Beach nightclub, I'm pissed. My dad's already behind bars and we can't afford any more bad press. But after giving her a lift - literally - back to her apartment, I stop seeing Katherine Wilson as some random girl. She's gorgeous, vulnerable, and braver than she knows. And when we kiss, all I want to do is pull her close and promise that she'll always be safe in my arms. But omg what a good book it was. Described ptsd/ angst so vivid I got it. Nico was the perfect guy to be there for her through it all. I really enjoyed this book. Enjoyable, but a little over the top. I don't understand why romance authors think that every male lead has to be Mr. Perfect everything...it is okay to have them more human and vulnerable. I wish the male lead was a little more down to earth. Have you listened to any of Joe Arden and Aletha George ’s other performances before? How does this one compare? 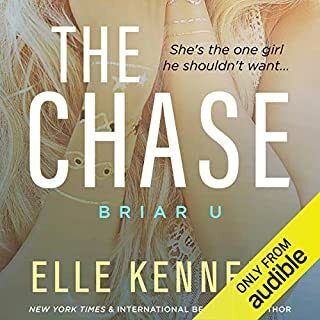 I enjoyed Katie and Nico's story. Listening to the devastating experience that Katie went through was heartbreaking. Nico came into her life and helped her deal but couldn't really understand first hand until it all got real at the most unexpected time. The secondary characters were amazingly supportive and great people. This books drew me in from the first moment...a must listen. This novel has a detailed and realistic journey of a heroine suffering from PTSD and feeling safe only in her apartment. Author Sidney Halston handles with sensitivity and care the events that caused the heroine her crushing disorder. The heroine’s road to eventual freedom into the world evolves at a realistic book pace due to her courage. The reluctant hero helps her along. Equally realistic is the hero’s reaction to meeting the heroine the first time and seeing her display behaviour consistent with his negative experiences of people. That they are at odds at first gives a delicious enemies to lovers vibe to the eventual romance that builds from their encounters. Even when the hero doesn’t understand the heroine’s circumstances, his behaviour is caring no matter what his words are. His intrinsic caring side made him a very attractive character to me. Both characters undergo growth and development that is realistic and heart-warming. The conflict they face is believable and wrenching, and their epiphanies about what they mean to one another are paced just right. 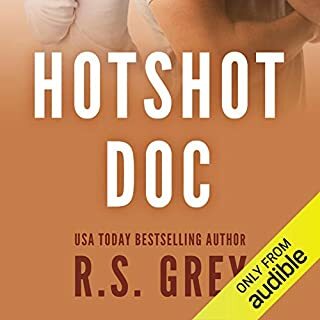 I enjoyed this romance first because it’s well written and sophisticated in its story-line and depth; and second because it is beautifully narrated by Joe Arden and Aletha George. Sidney Halston is a new-to-me author and I’d love to hear/read more of her books. PULL ME CLOSE is first in a series but a stand-alone. The next book in the series is about the hero’s brother. I’m looking forward to it. I couldn't make it past the first chapter. Checking out a hot guy during a full-blown panic attack? Ridiculous. Absolutely love this book! Great characters and awesome story! The chemistry between them is hot and hilarious! This story is really good! You can relate on so many levels and I really like how Sidney brought in real life events. The narrators did a fantastic job. Loved this story from start to finish. I loved that two people who were on opposite sides of the spectrum, were able to improve each other's lives so significantly. What was disappointing was not knowing how things eventually turned out between Jo and David in the end though. if it's not in the other book, then maybe Sidney Halston mayor want to consider doing an abridged story or novella about them just to ease the mind. But all in all, a very good storyline. Thanks for being different with this story Sidney Halston. 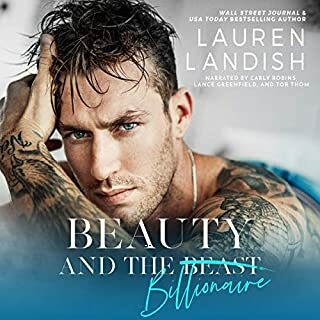 I enjoyed this audiobook about a man who runs a famous Miami nightclub with his brother and a woman with PTSD so severe that she passes out in their club from a panic attack. The hero, Nico, at first is convinced she's just a drug abuser. As time goes by and he feels drawn by her, he realizes she was telling the truth about her problem. Katherine, the heroine, has struggled with agoraphobia, claustrophobia and general fear since a traumatic event in her past. With Nico's prodding she starts to get more focused on getting better. They run into a problem when Katherine won't get on a plane with him to fly to Paris for a friends wedding. Tragedy strikes again, leaving her to find out if she's stronger than her fears.